The force that is California Chrome ruled the night during Saturday evening’s 46th annual Eclipse Awards ceremony at Gulfstream Park. The popular chestnut earned his second Horse of the Year title, the first coming in 2014 when he captured the Kentucky Derby (G1) and Preakness Stakes (G1), among other events, and was also named champion three-year-old male. 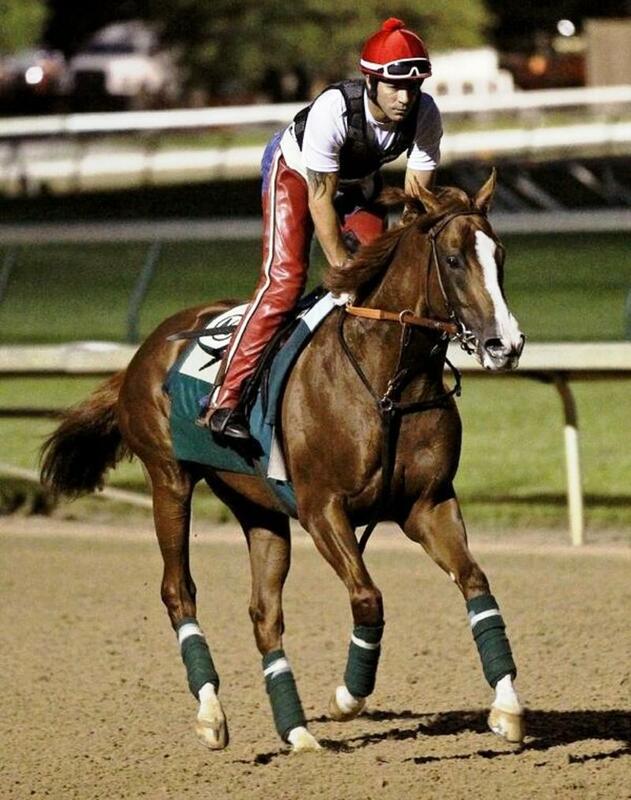 But before California Chrome was announced as the 2016 Horse of the Year, he also picked up an Eclipse Award as champion older dirt male and saw his Dubai World Cup (UAE-G1) victory honored as the NTRA Moment of the Year. Other winners on the evening included Breeders’ Cup Juvenile (G1) conqueror Classic Empire, who picked up an Eclipse Award as champion two-year-old male. Owned by John Oxley, who campaigned Monarchos to Kentucky Derby glory in 2001, the once-beaten son of Pioneerof the Nile entered 2017 a clear leader of the Kentucky Derby Winter Book. Kentucky Oaks (G1) hopeful Champagne Room was honored as champion two-year-old filly. The bay daughter of Broken Vow still has a lot to prove after upsetting the Breeders’ Cup Juvenile Fillies (G1) at 33-1. Also receiving accolades Saturday evening were Beholder and Songbird, who were the respective champion older dirt female and three-year-old filly. Beholder finished a half-length second in the 2013 Kentucky Oaks while Songbird was a clear-cut favorite for last year’s running of the race before a fever forced her to miss the event. Breeders’ Cup Classic (G1) hero Arrogate, from the barn of Triple Crown-winning trainer Bob Baffert, picked up an Eclipse Award for champion three-year-old male.